This 37,000+-square foot state-of-the-art multi-use facility provides a Conference Center, Exhibition Hall, entertainment Arena, and much, much more! The front Ballroom portion of the building provides a conference center atmosphere suitable for business meetings, conferences, conventions, receptions, and banquets for groups varying in size from 100 to 1,000. The Ballroom area, all 7,700 square feet, is the largest such facility in Anderson County. Meanwhile, the 28,000 square foot Arena is home to Anderson County’s largest trade shows and entertainment events – seating up to 3,200 spectators, and accommodating up to 200 trade show booths. The glass Atrium area and adjoining outdoor Courtyard provide the perfect setting for receptions, parties, and pre-function activities of all kinds. 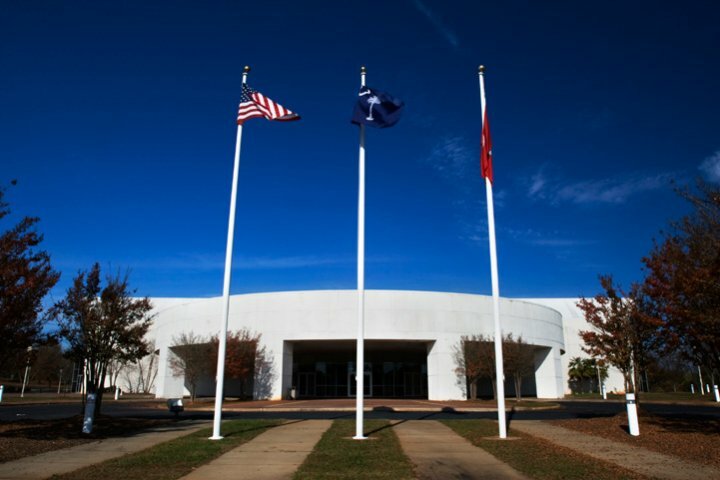 If you’re interested in renting a portion of the Civic Center of Anderson, please call our office at (864) 260-4800 to inquire about date and space availability. The Civic Center of Anderson cannot issue contracts more than six months in advance for events not utilizing the entire rental space of the building. This policy is in place in order to give the facility the opportunity to attract large revenue producing events that utilize full space. If you are interested in reserving space at the Civic Center of Anderson more than six months in advance, please call our office to inquire about the date(s) availability within the six month time frame. If the date you requested is available at that time, our staff will then address rental policies in more detail. Once the details and fees have been finalized, your event will be issued a contract. The signed contract and any necessary non-refundable deposits will be due within 14 days of the contract being issued. 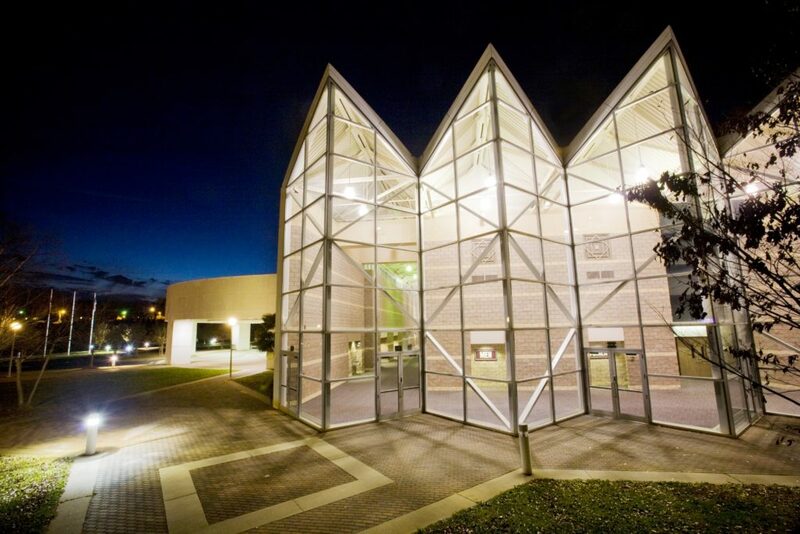 If you are renting space at the Civic Center of Anderson for the first time, the entire fee will be due in advance at the time your contract is returned. In the event of cancellation on the part of the Lessee, deposits are non-refundable. Thank you for your interest in rental space at the Civic Center of Anderson, located at the Anderson Sports & Entertainment Center. The Anderson Sports & Entertainment Center would like to take this opportunity to welcome you to our facilities! We sincerely hope your activities here will be both pleasant and memorable. The information outlined below should greatly assist you in planning your event; however, if you have any questions, please do not hesitate to contact our offices. Please contact us for current lease rates. 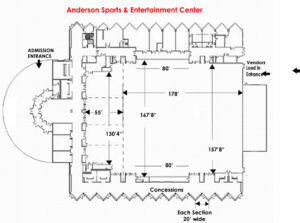 Daily lease rates at the Civic Center of Anderson are typically for an 8-hour time period, including set-up and tear-down by event organizers. Additional hourly charges apply for events approved past 8 hours. Base rental fees include normal building set-up, one normal daily cleaning of all public spaces, normal lighting, and a public address system. Additional fees required for equipment usage and other special services. The Anderson Sports & Entertainment Center would like to take this opportunity to welcome you to our facilities! We sincerely hope your activities here will be both pleasant and memorable. The information outlined below is a partial list of our policies and regulations. Please contact our office for a more detailed document. 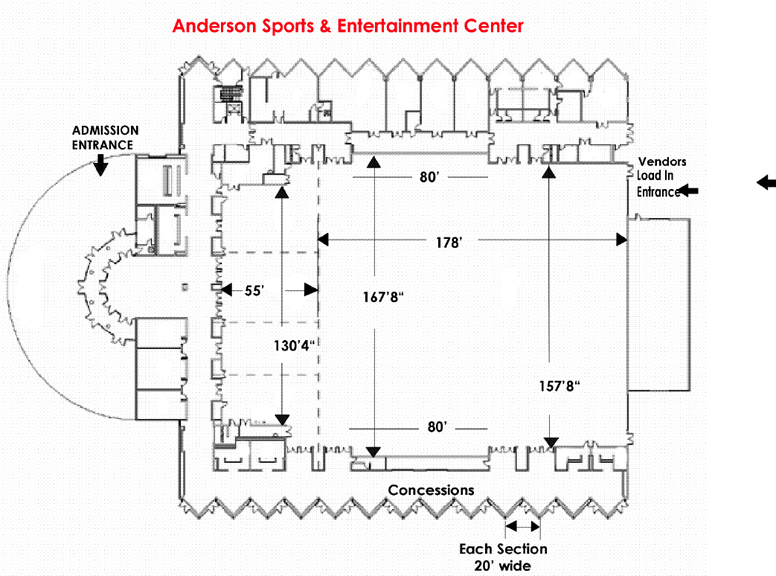 All event organizers must observe the Civic Center of Anderson’s rules and regulations. Event organizers, upon signing their lease agreements , must also agree to observe all rules and regulations. Fire codes must be adhered to at all times. All vendor, catering, and any other load-in and load-out for events must be done through rear doors. No load-in or load-out permitted through the Civic Center front, side or atrium doors. Lessee, if deemed necessary by management, will provide parking attendants in front of building. Smoking inside any part of the Civic Center is not permitted. Parking in loading dock area in rear of building is not allowed. Civic Center cannot accept parcel or any other drop-offs prior to 24 hours before any event. Parking is not permitted in the Rotunda area in front of building. The rotunda reserved for drop off and pick up of visitors. 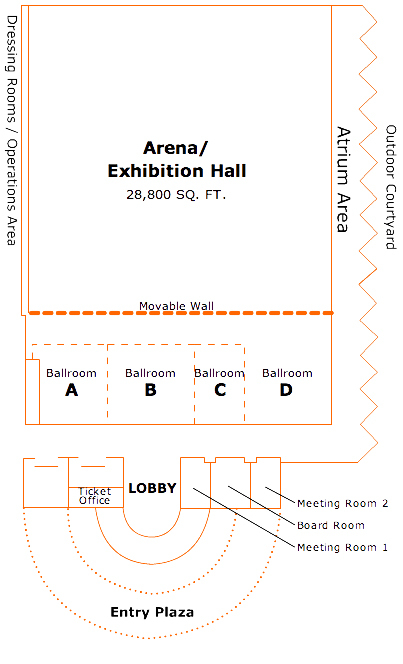 Decorations and signage in ball rooms limited to areas on wall where hanging materials provided by Civic Center management must approve any other decorations or signs. The use of tape on walls, doors, etc. for decorating purposes is not permitted. Any motorized vehicle on display inside arena must have battery disconnected, have gas tanks emptied of fuel and taped shut, and meet any other standard regulations. Motorized vehicles may not be driven on carpeted areas. Motorized vehicles and displays with water may not be on display on any carpeted areas. Trade show displays featuring water cannot be placed in any carpeted area. Vendors and/or event producers must supply own electrical extension cords and table coverings. Concessions rights reserved by the Civic Center or its exclusive concessions company. Event producers responsible for excessive trash clean-up. Civic Center provides a “normal” daily cleaning. The Civic Center reserves the right to charge a clean-up fee for large event. The Civic Center front lobby is not available for lease, and cannot be decorated by Lessee for any event. Other non-conflicting events may be held in the building at the same time, or on the same day, as Lessee’s event, in areas where Lessee is not renting. Special rental regulations apply for weddings and wedding receptions. Regulations available upon request. 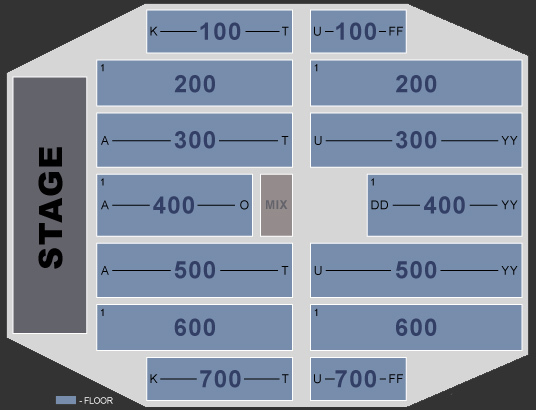 Rental fee does not include the services of employees; riser seating; equipment for special setups; special lighting; sound equipment (other than standard microphones); electrical services; trade show booth equipment; stagehands; ticket sellers; ticket takers; door guards; security; medical technicians; police; or fire officials. Civic Center management must approve the number and identity of such persons. All security required for events must be arranged and scheduled through the Civic Center and the Anderson County Park Police Department. Number of security officers needed will be determined by Civic Center management. If the leased premises or portion thereof, or any furniture, fixtures, or equipment located in the leased premises and made available for Lessee’s use is damaged during term of the lease, Lessee will pay to the Civic Center upon demand such sum necessary to restore to undamaged condition. Lessee will adhere to any and all other policies and regulations named in the lease agreement or set by management in an effort to protect the building, property, and patrons from harm. The Civic Center of Anderson typically does not issue contracts more than six months in advance for events not utilizing the entire rental space of the building. This policy is in place in order to give the facility the opportunity to attract large revenue producing events that utilize full space. Those interested in reserving space at the Civic Center should contact the main office to inquire about date availability. If the date requested is available, our staff will then address rental policies in more detail. Once the details and fees have been finalized, the event will be issued a contract. The signed contract and any necessary non-refundable deposits will be due within a specified time frame. For those who are renting space at the Civic Center of Anderson for the first time (and most traveling shows), the entire fee will be due in advance at the time contract is returned. In the event of cancellation on the part of the Lessee, rental space deposits are non-refundable. Lessees will be provided with a complete list of Civic Center of Anderson policies and regulations. 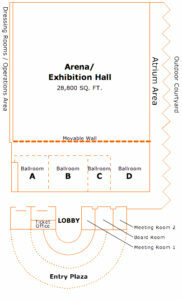 Minimal rental space fee requirements on weekends and holidays are no less than the value of the complete ballroom area. 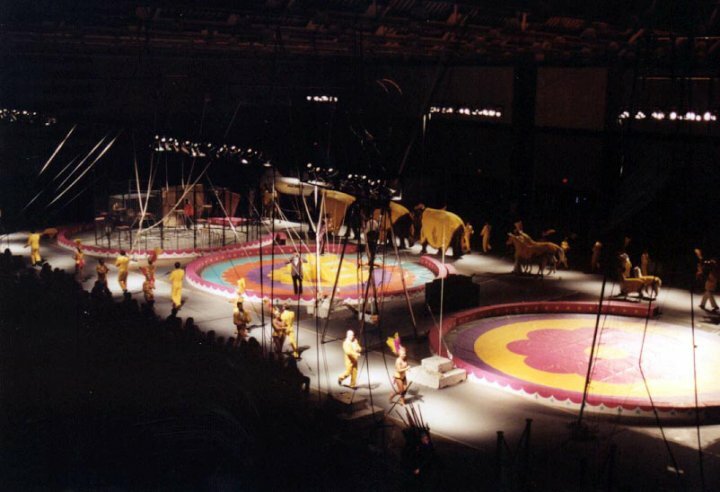 Smaller rental areas available only if another event organizer has reserved the minimal space. Evening events Monday-Thursday require a minimal rental space fee of no less than the value of two ballrooms. Set-up and tear-down on days other than event days (for trade shows/large multi-day events only) will be charged half the normal rate for the area used. Pre-day of event setup is permitted only if space is available. Events can receive only one half-price set-up day, and one half-price move-out day. All other necessary set-up or move-out days will be charged at full retail value. Additional facility fees, admissions taxes, gate percentages, and other fees may apply to ticketed entertainment events. Contact Civic Center management for details. Event related labor services are provided at the Lessee’s expense by a certified, professional event staff company or an approved independent contractor. This includes ticket sellers, ticket takers, t-shirt security, etc. Stage labor is also provided at the Lessee’s expense. The right to sell any merchandise, product or other item must be coordinated through the Civic Center. The sale of any and all merchandise is prohibited without prior approval. Merchandise sales during entertainment events is an in-house exclusive and subject to a percentage of sales paid to the Civic Center or its agent. Contact us for complete insurance policies. In-house security, or uniformed police officers may be required by the Civic Center at Lessee’s expense. The amount of such security to be determined by Civic Center management, based on the size and type of event. The Civic Center reserves the right to collect parking fees for certain entertainment events. The Anderson Sports & Entertainment Center’s concessions are handled exclusively by an in-house concessions company that offers a variety of food and beverages for public events. The ASEC retains all concessions proceeds. Contact us for complete details on catering policies. 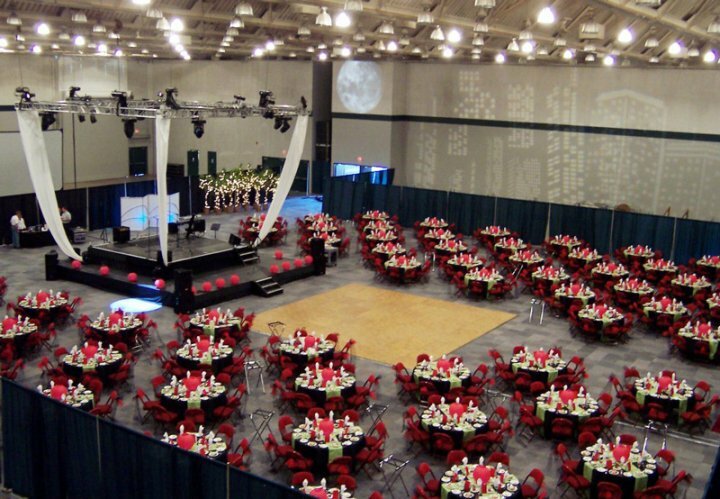 The Civic Center of Anderson offers a wide variety of event rental items. Please contact us for more information and current rates.